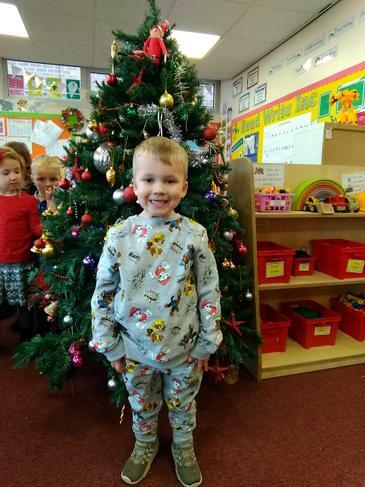 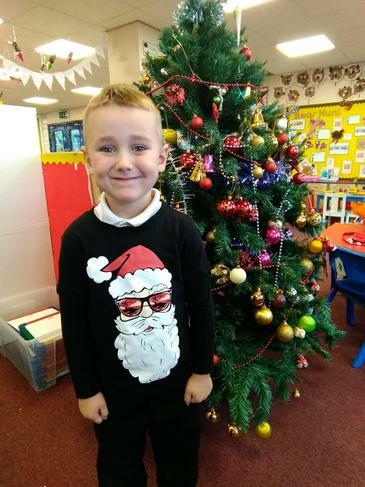 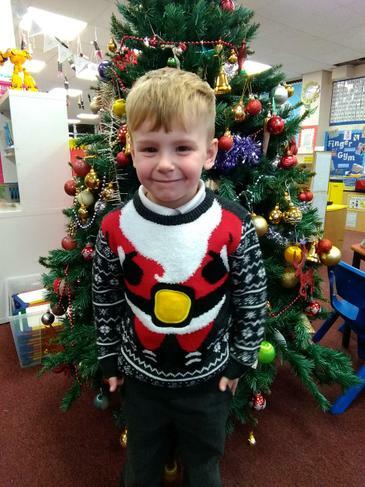 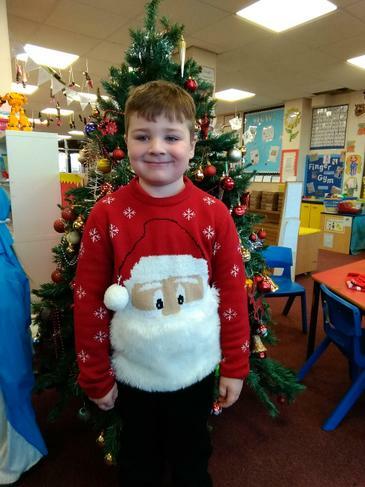 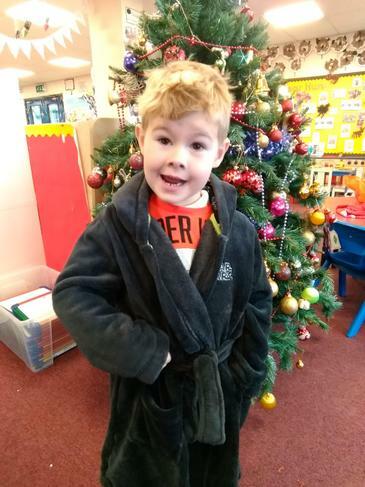 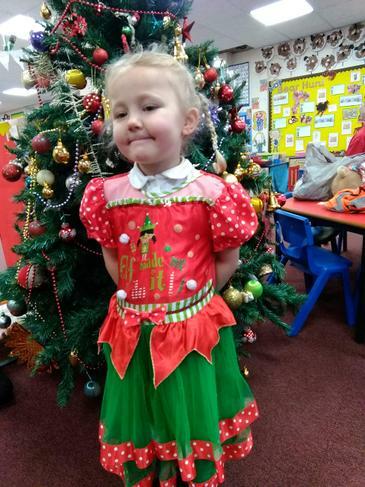 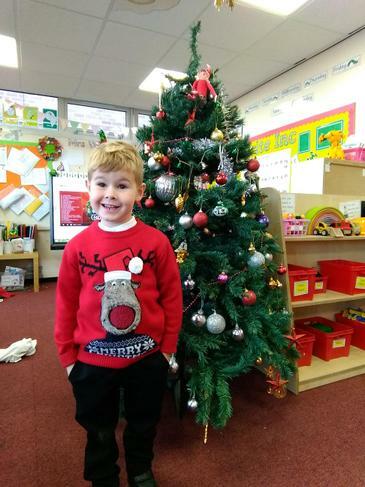 We have been getting into the Christmas spirit today. 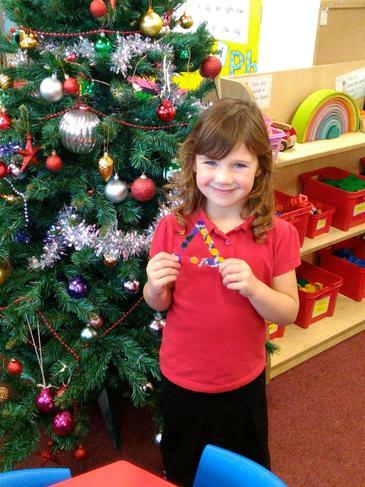 The children have spent the day making snowflakes and paper chains to decorate the classroom. 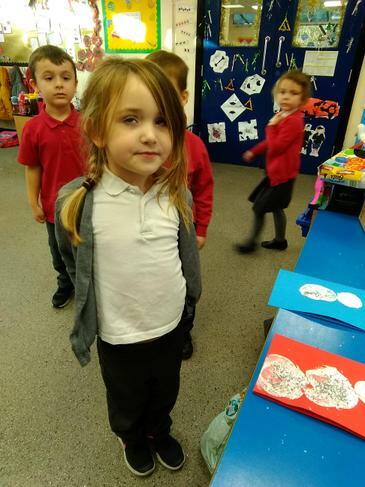 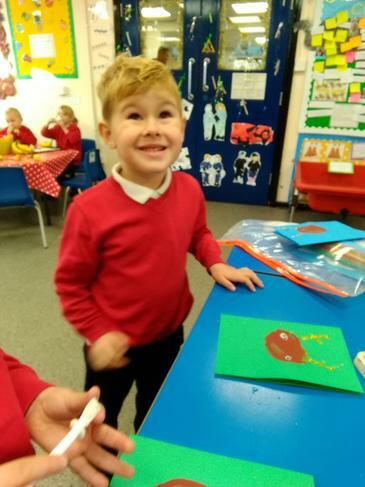 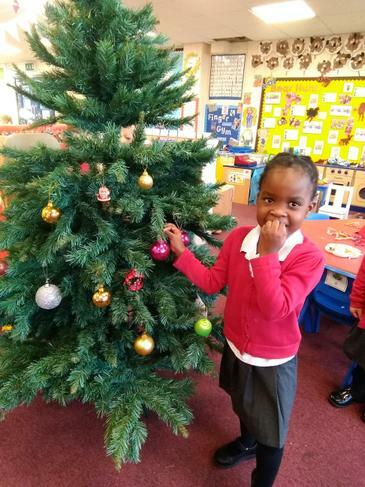 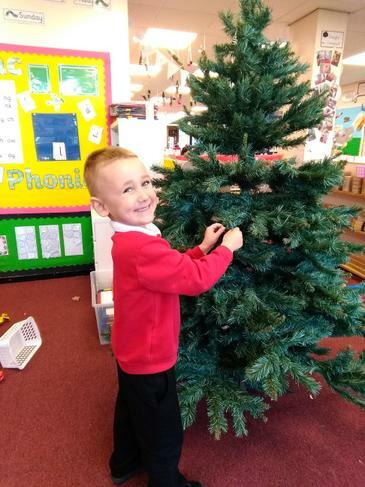 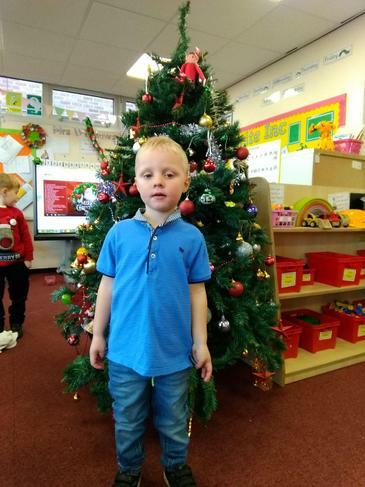 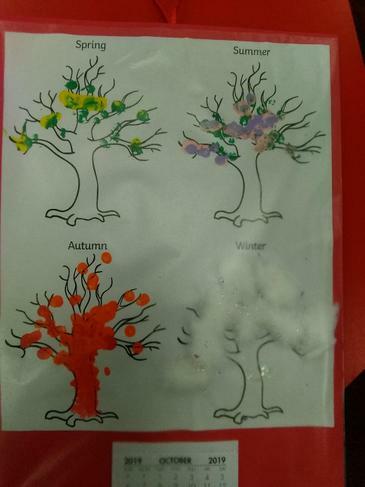 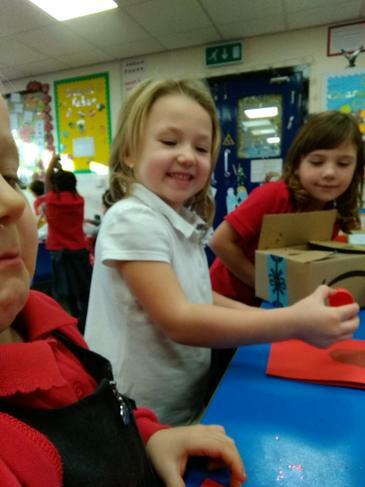 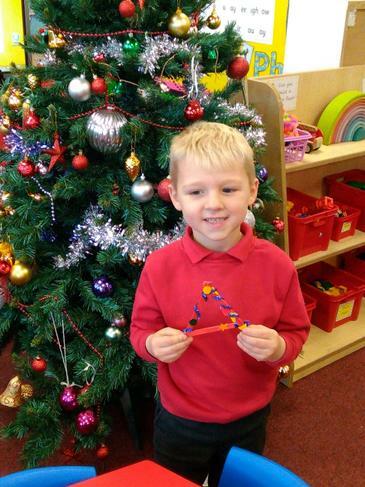 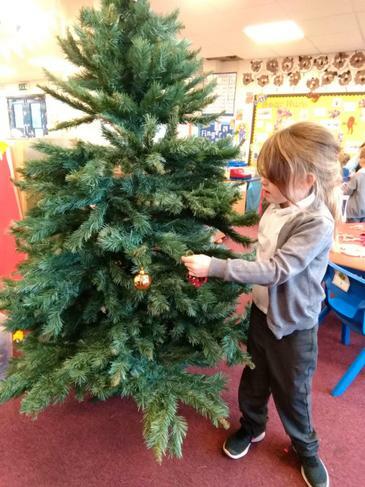 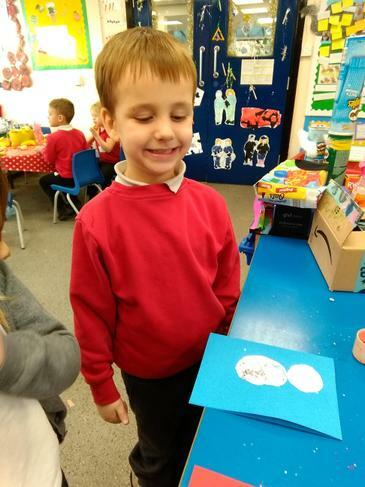 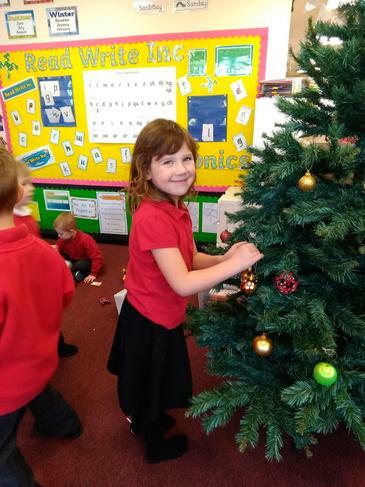 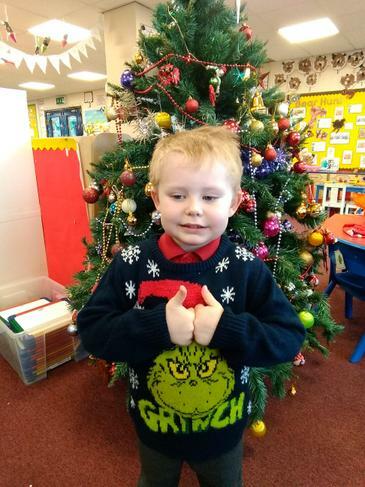 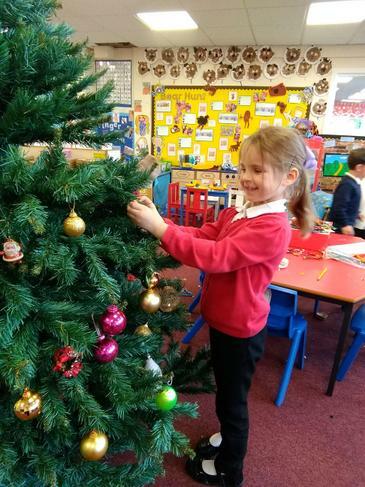 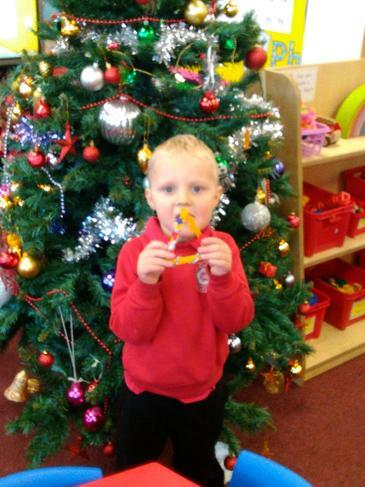 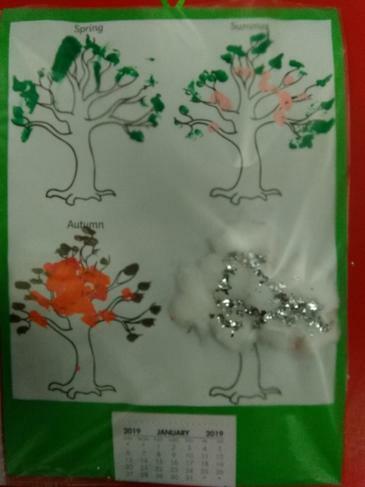 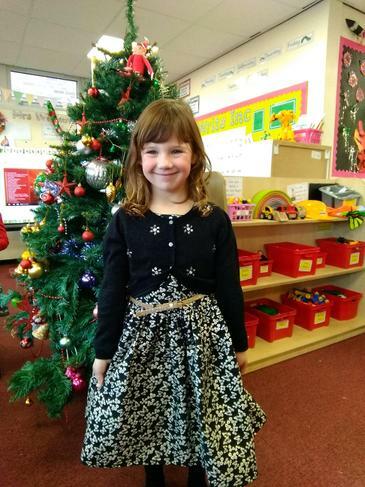 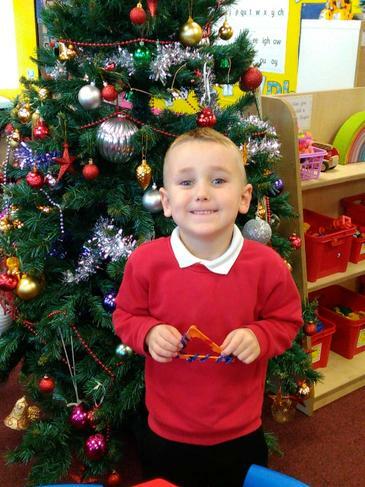 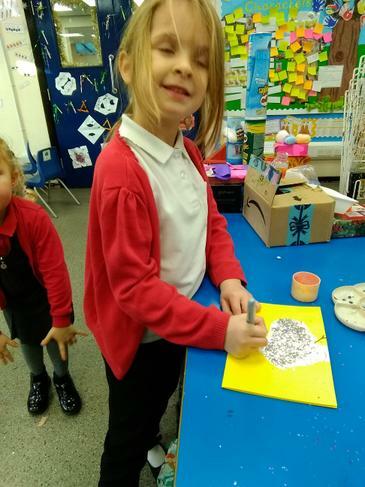 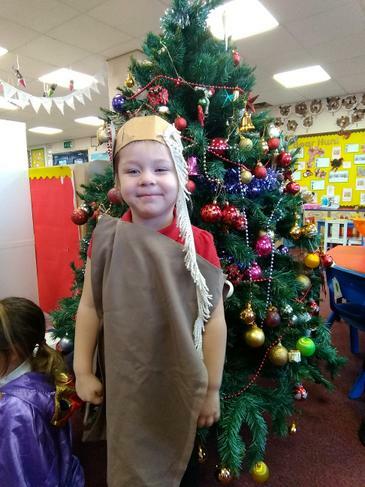 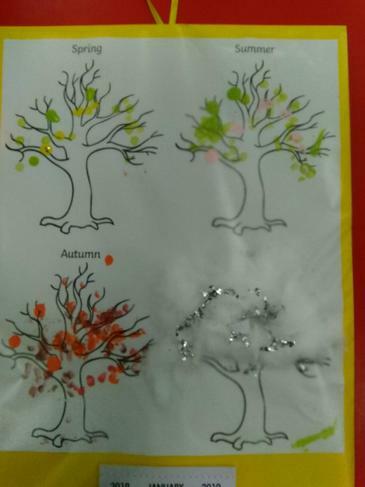 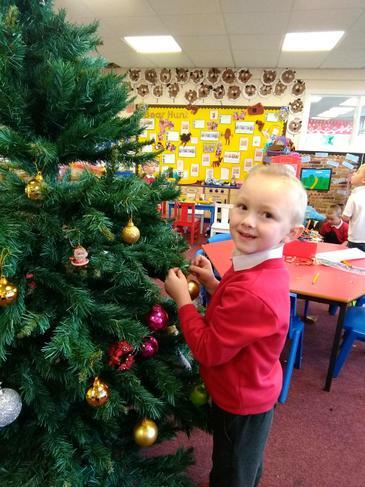 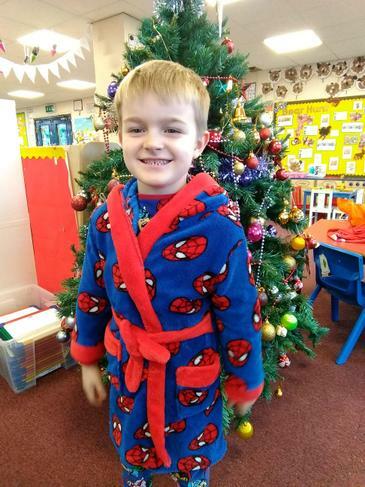 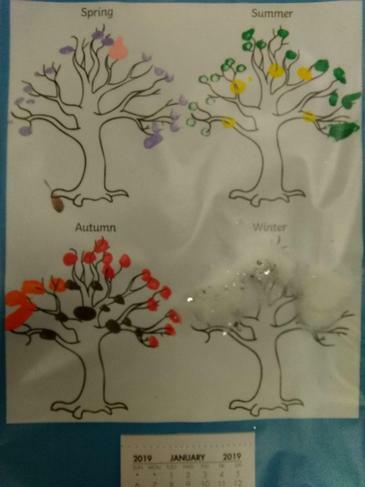 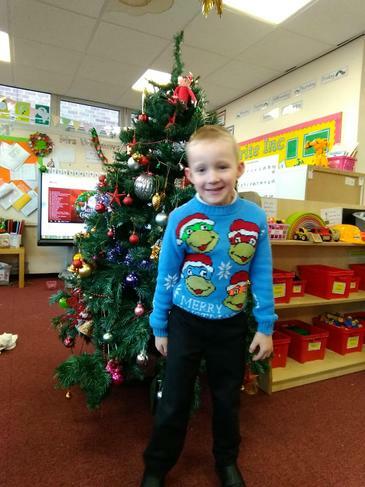 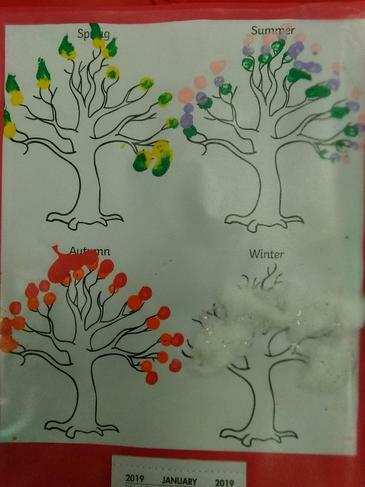 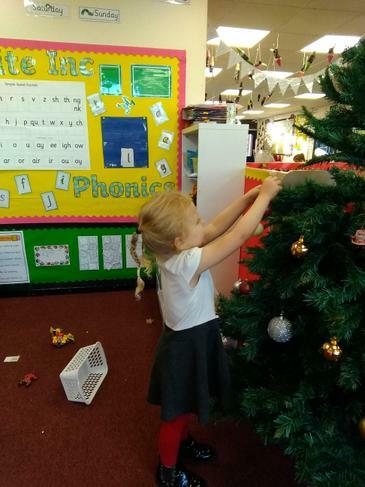 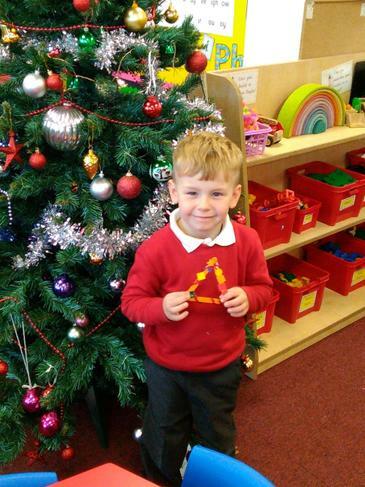 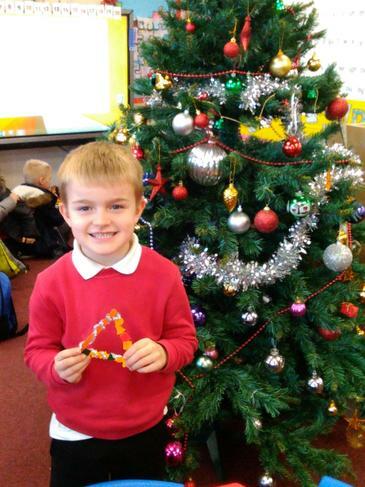 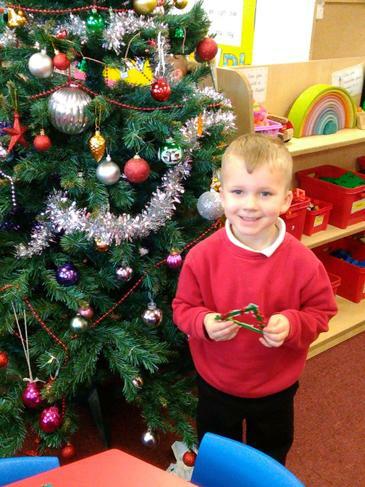 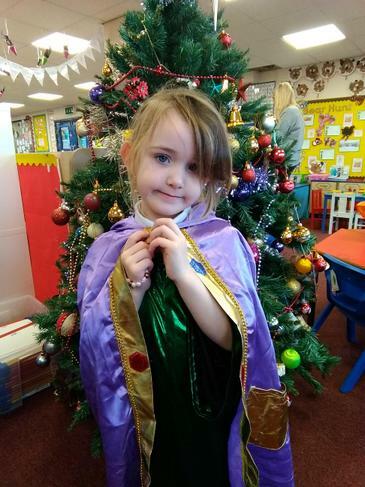 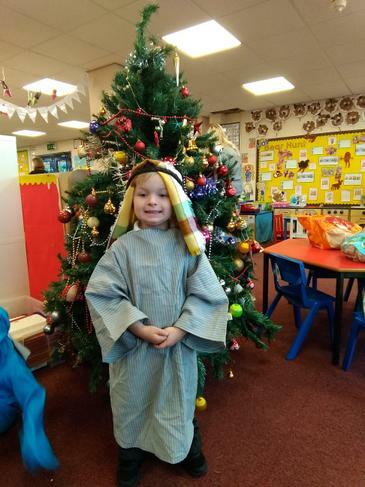 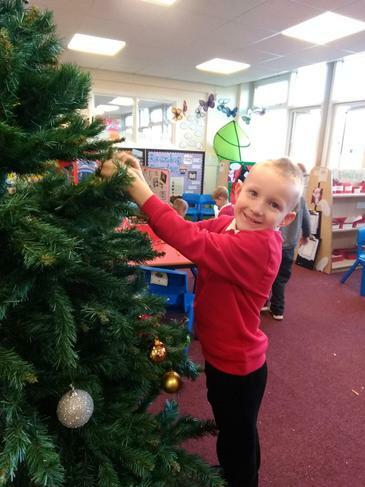 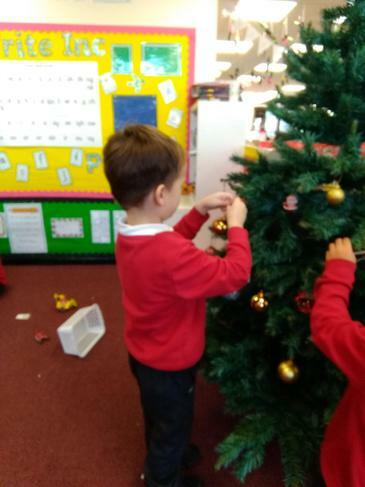 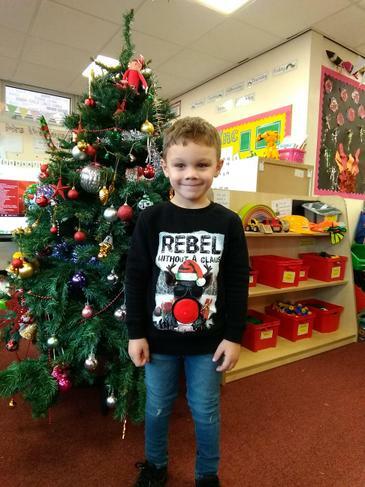 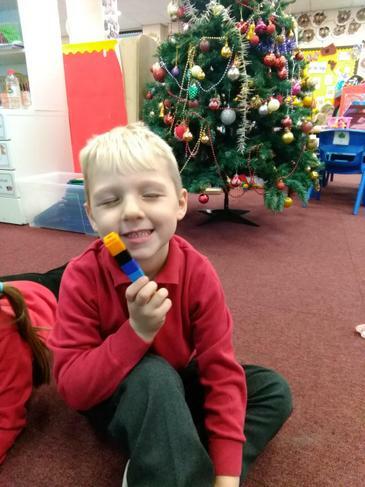 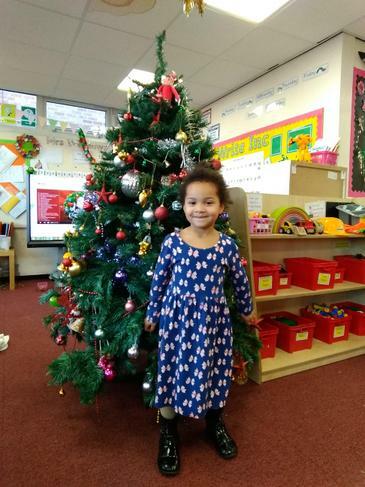 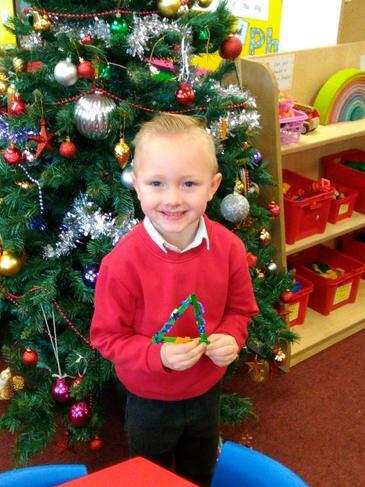 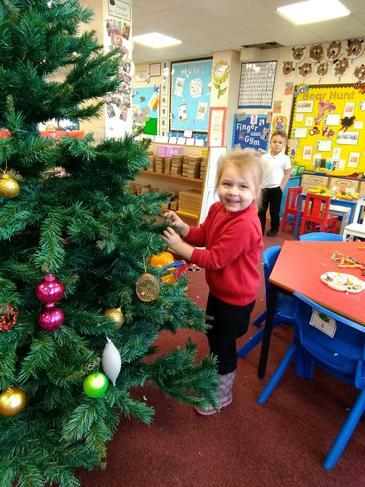 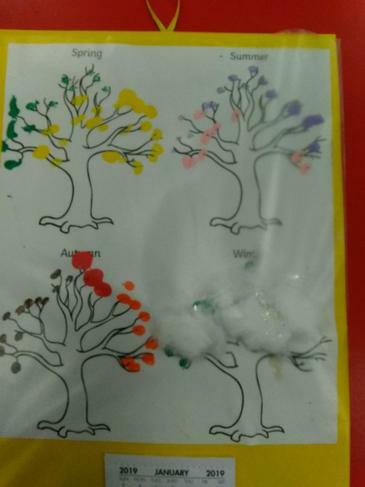 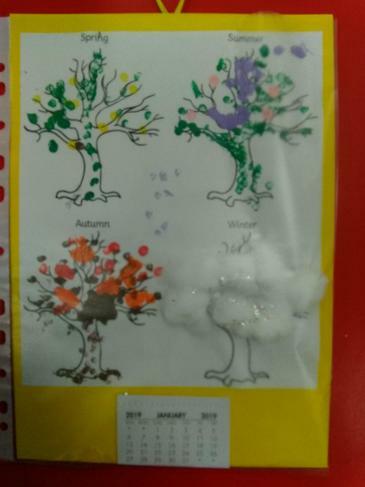 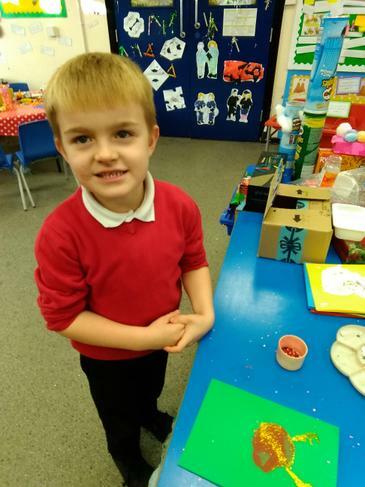 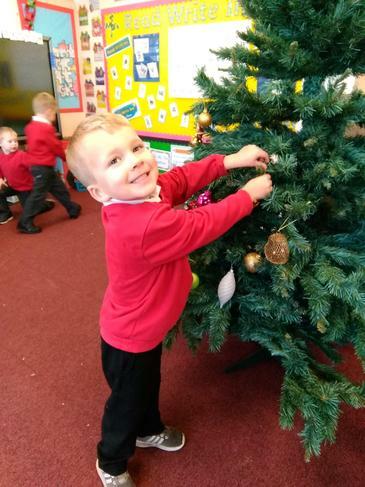 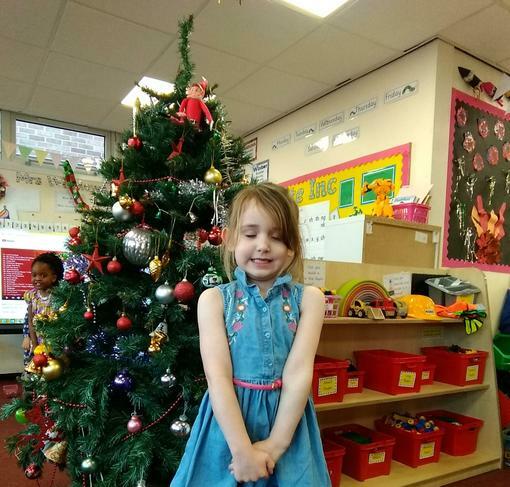 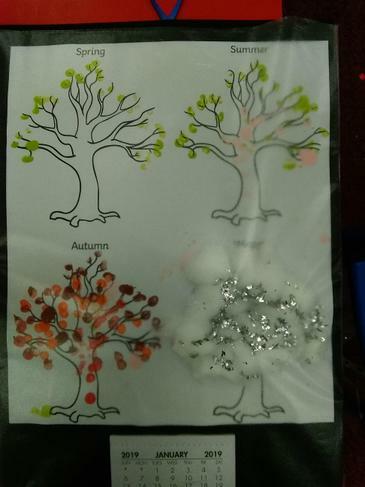 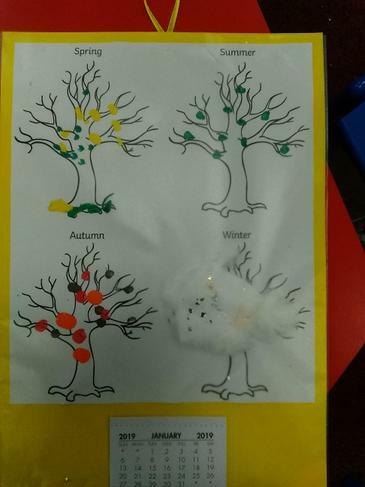 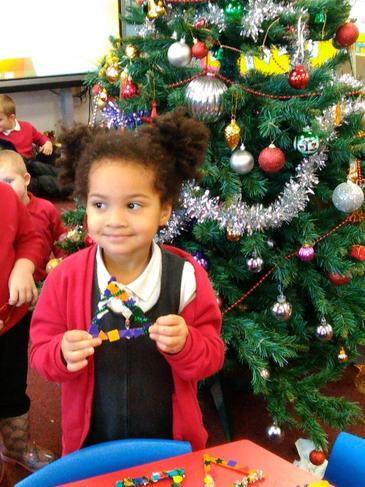 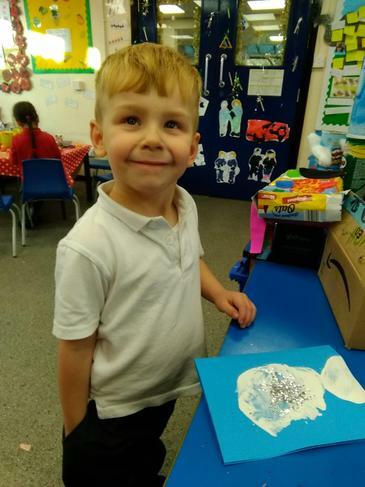 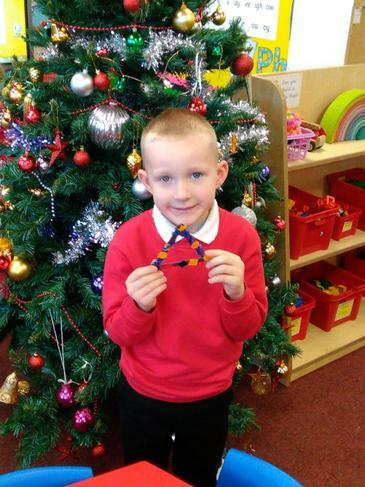 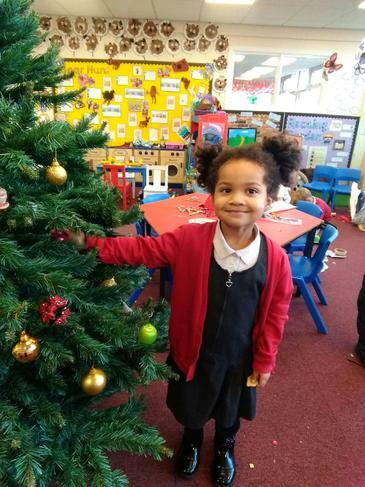 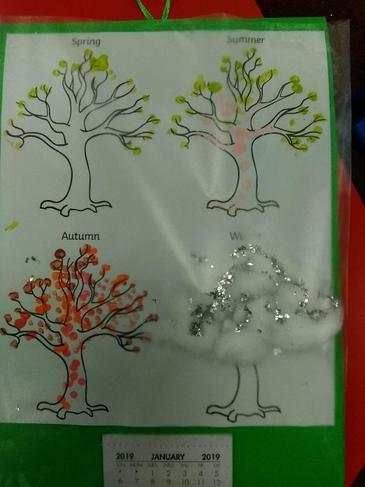 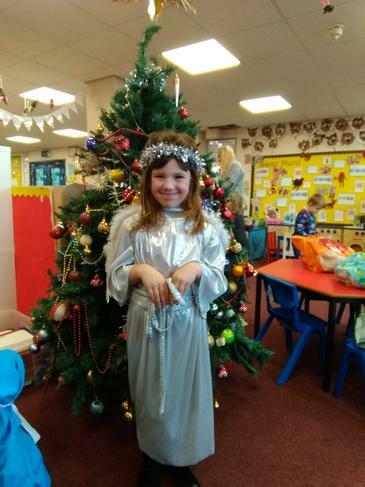 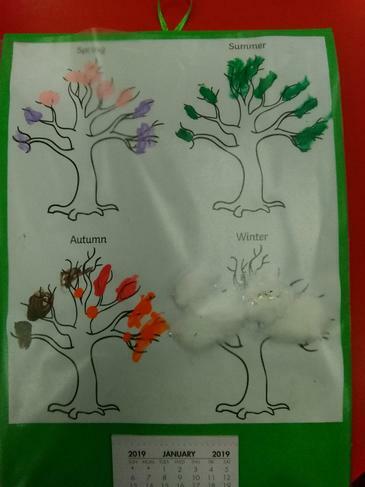 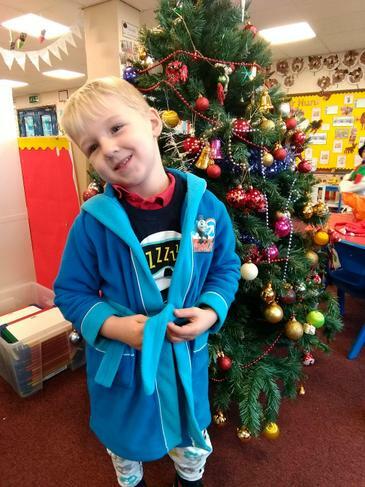 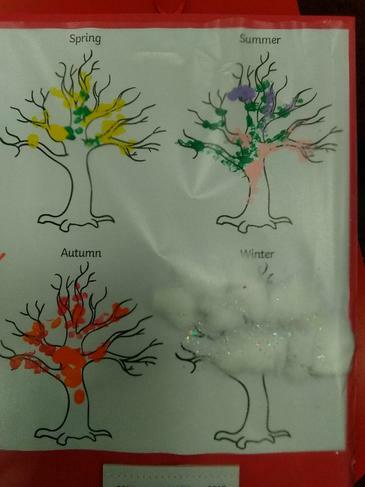 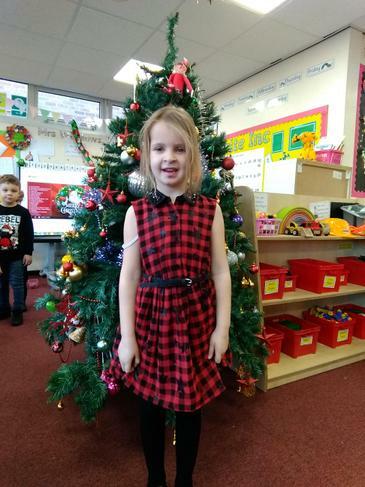 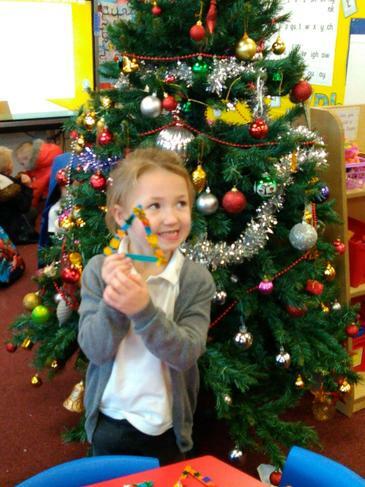 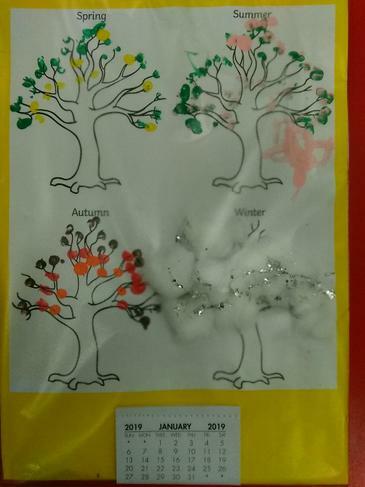 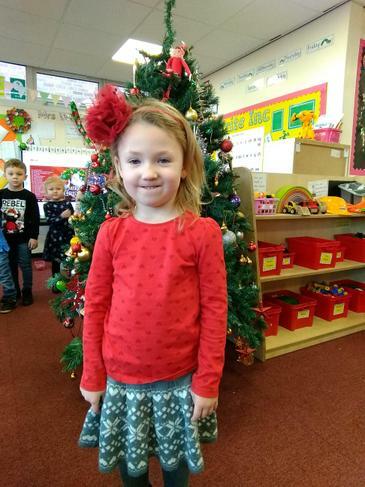 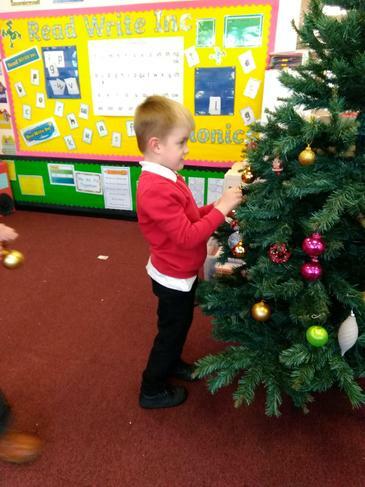 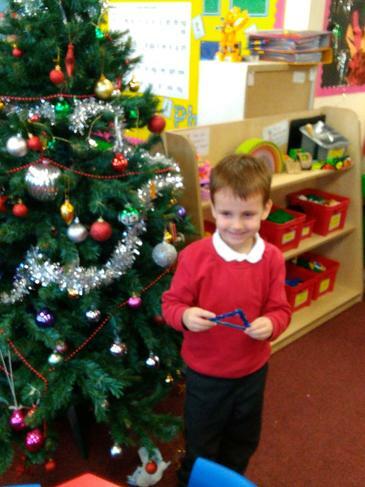 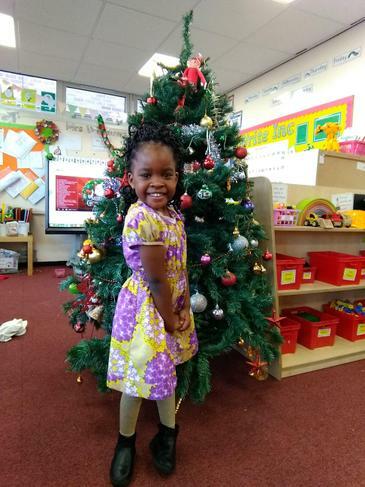 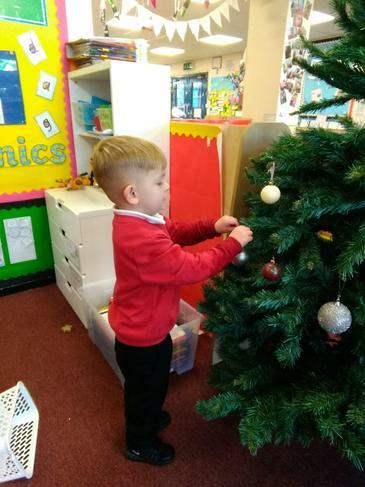 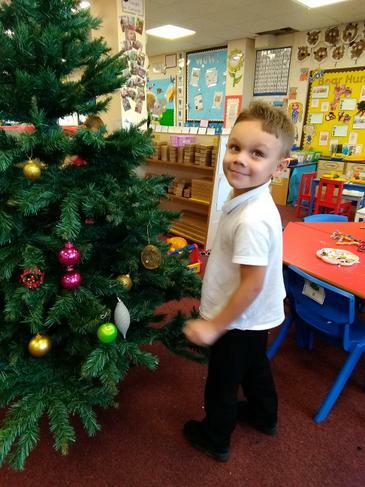 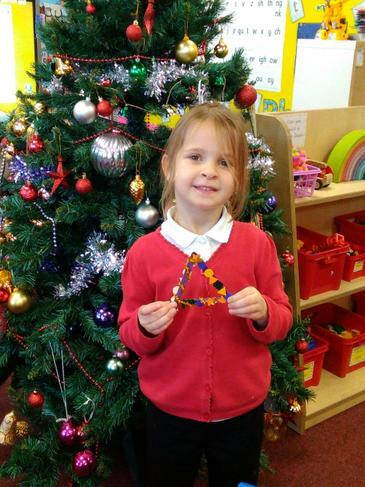 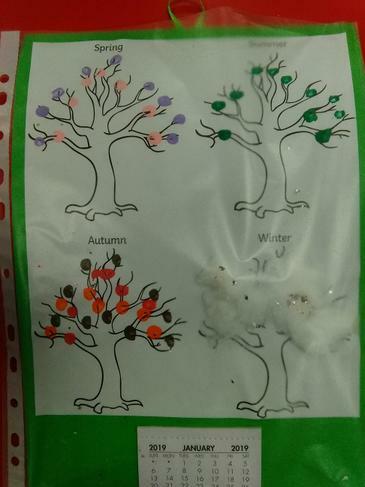 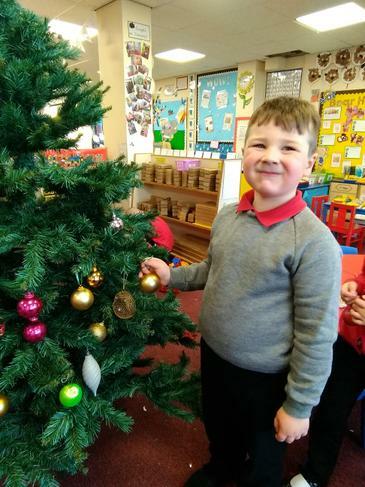 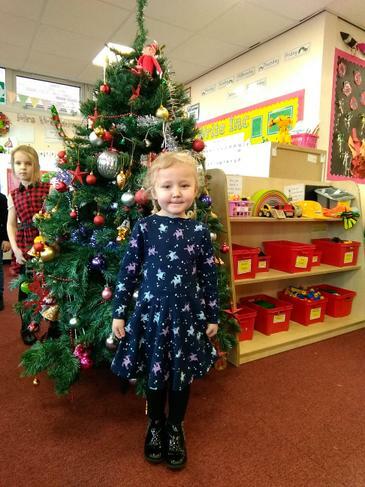 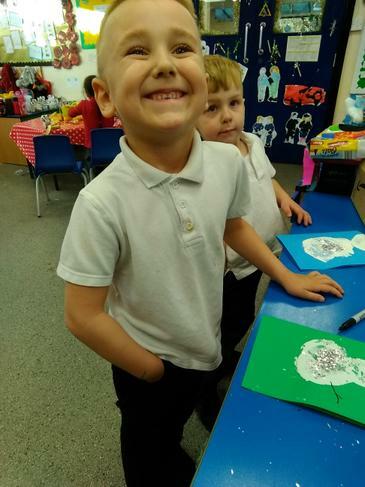 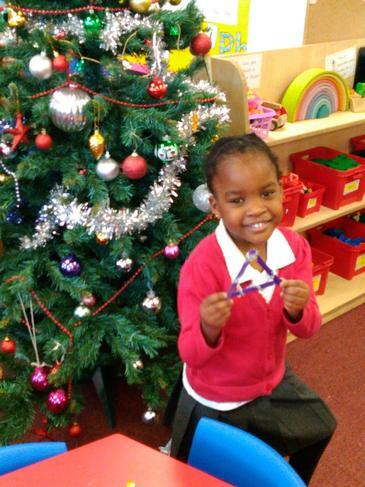 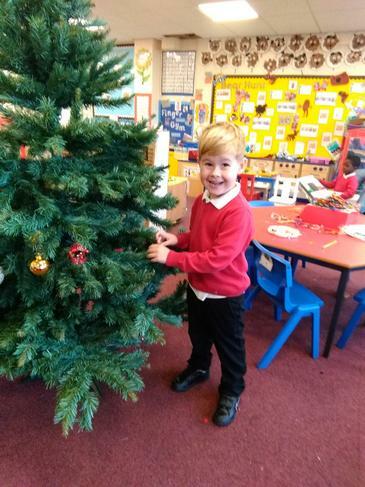 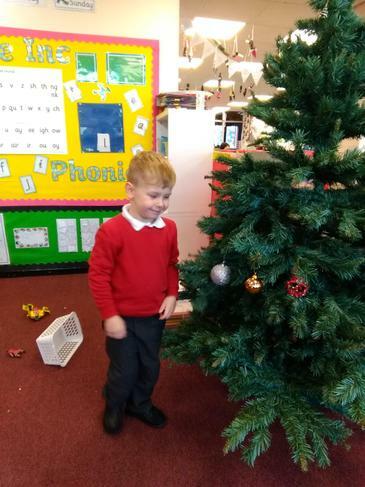 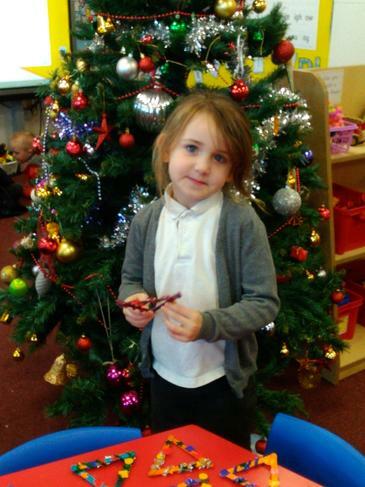 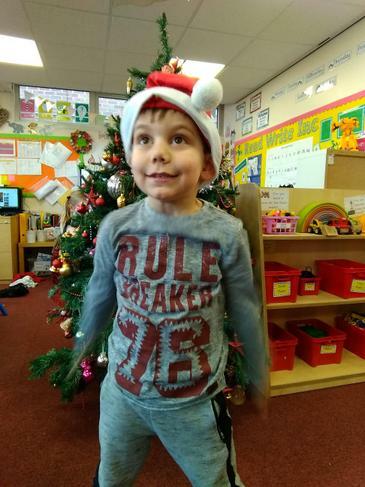 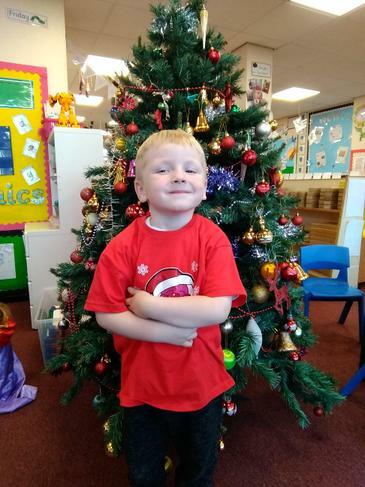 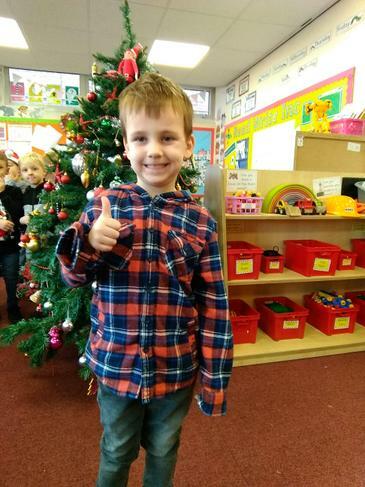 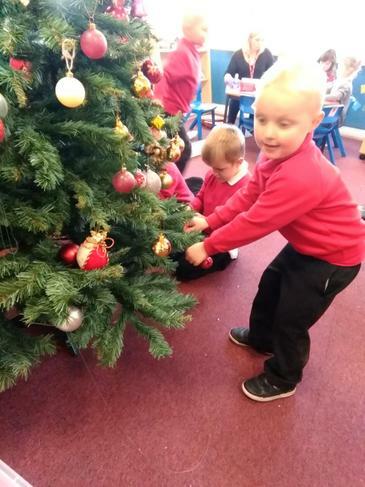 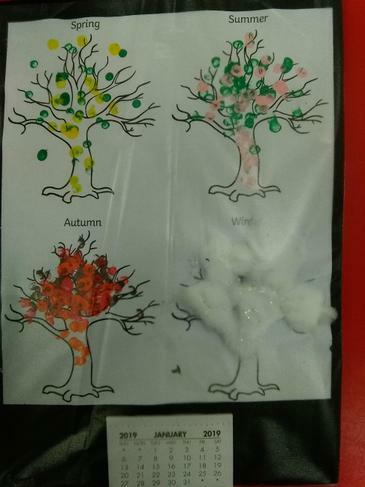 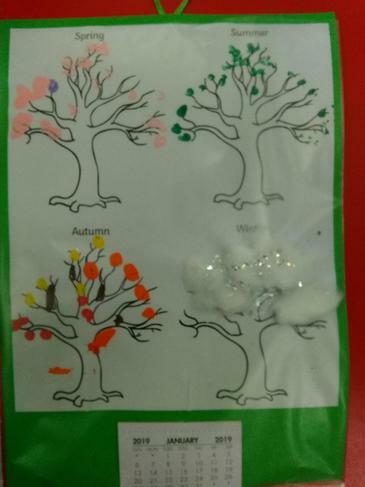 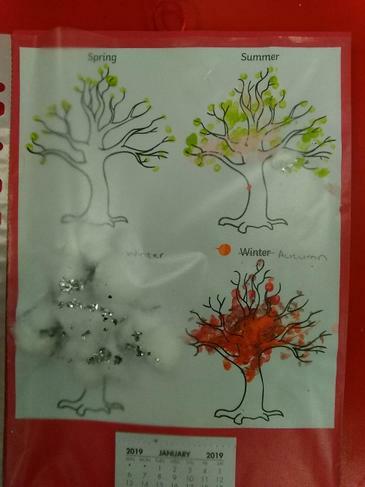 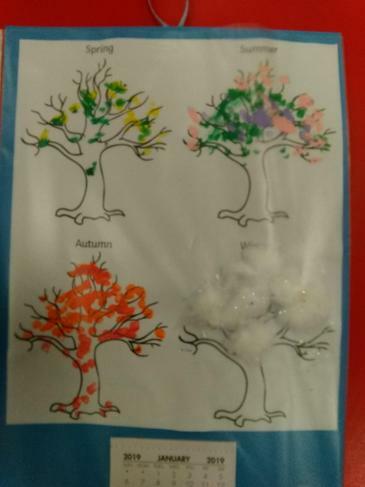 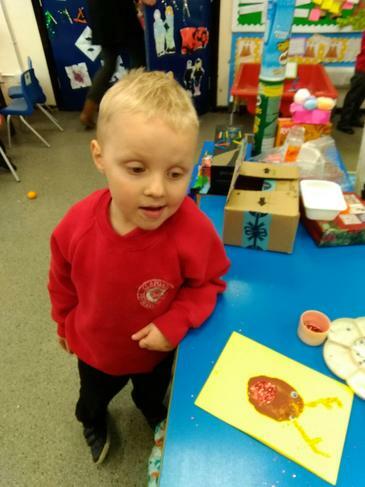 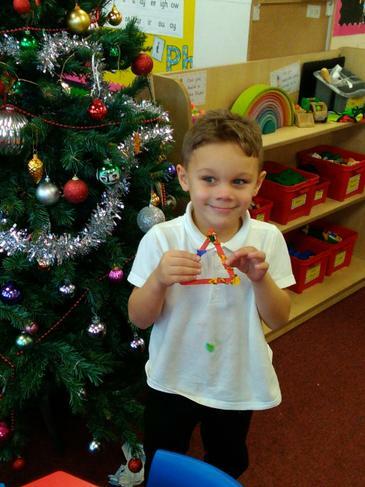 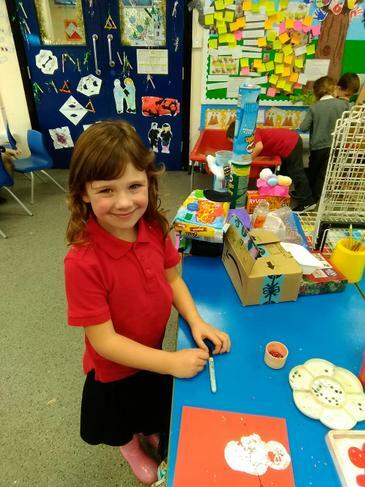 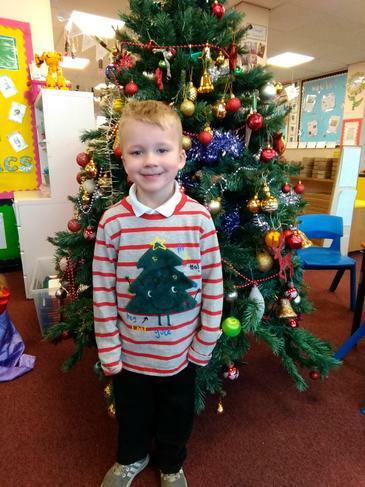 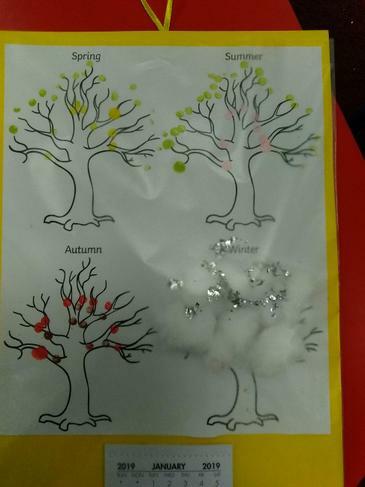 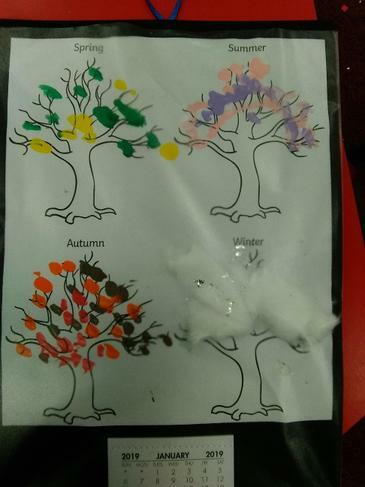 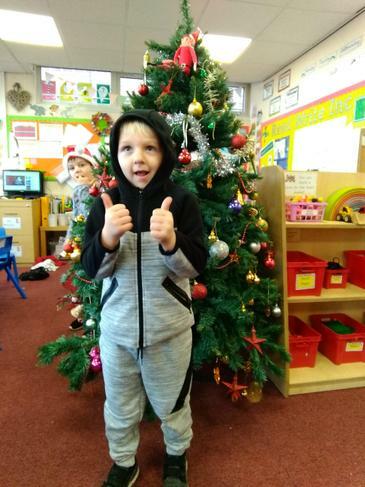 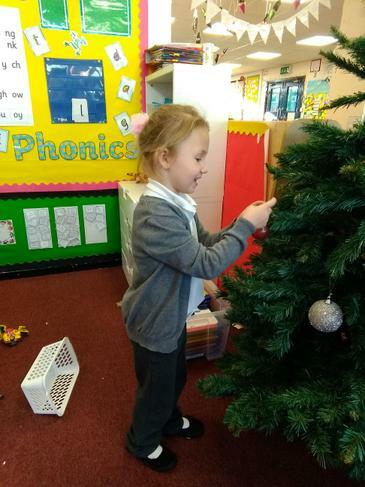 They have also decorated the class Christmas tree and made their own tree decoration. 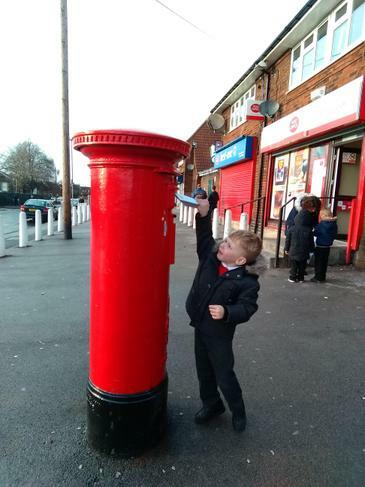 In Literacy this week, we have been writing letters to Santa which we will be taking to the Post Office to post. 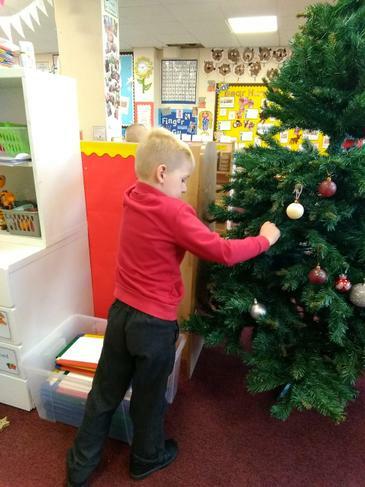 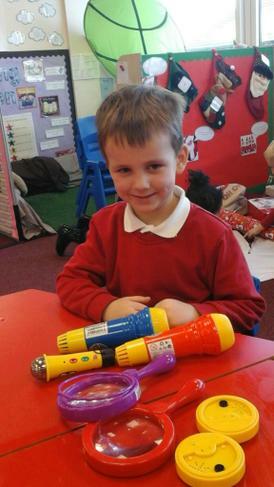 The children had a selection of items to choose from to put onto their list. 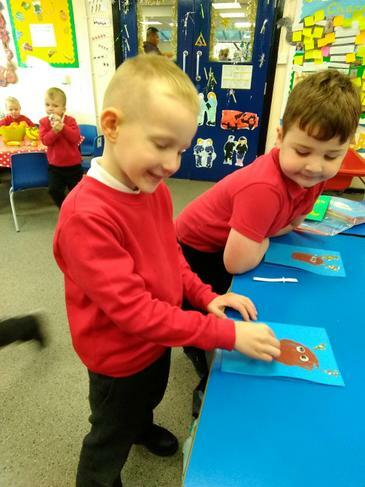 They listened very carefully to the sounds in the words and then used the speedy sounds sheet to write these sounds correctly. 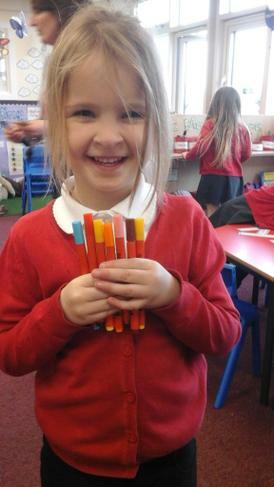 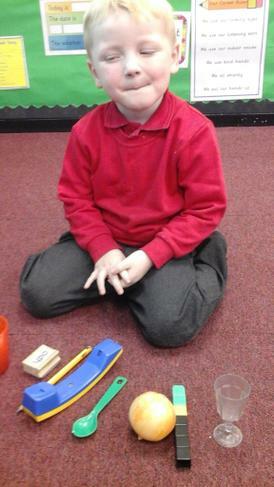 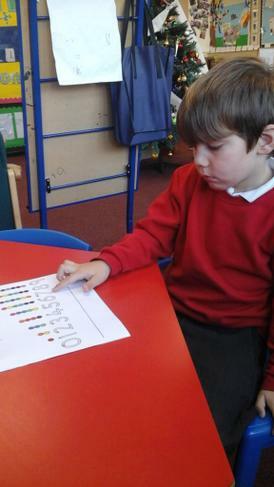 In Maths this week, we have learnt about the Number 7. 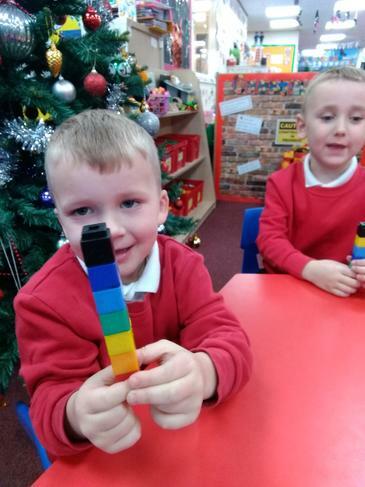 We made our own Numberblock using the unifix cubes. 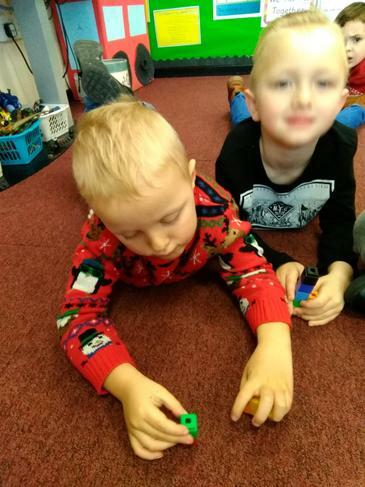 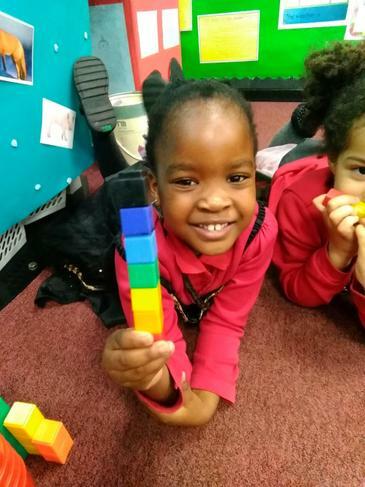 We took blocks away from our 7 Numberblock and counted how many we had left. 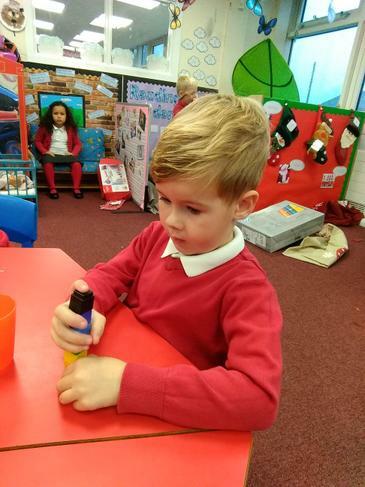 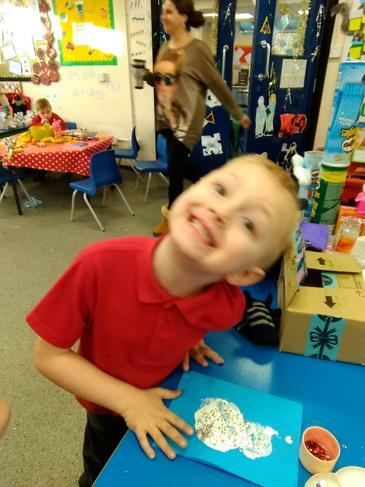 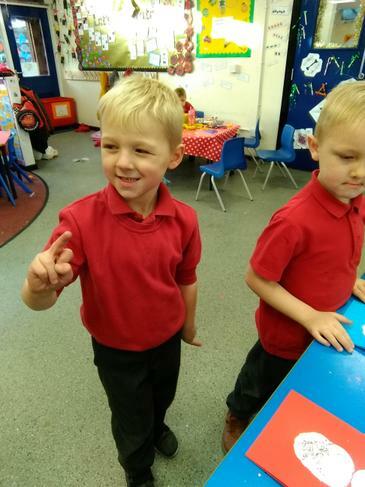 As part of their independent challenge, the children had to find items around the room that represented the number 7 and ask a friend to take a photograph using the tablet. 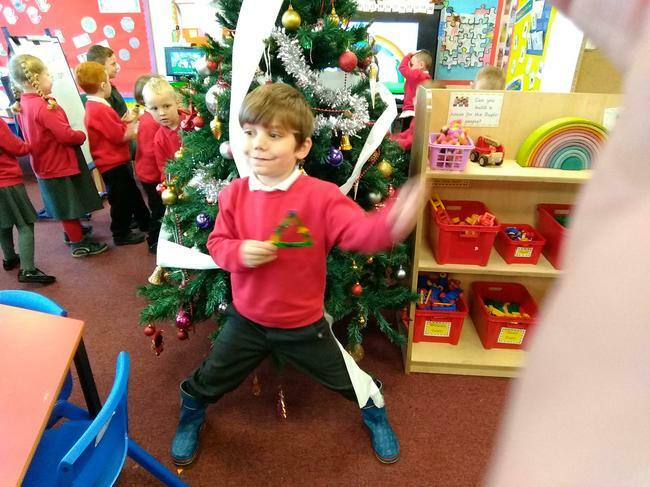 co-ordination games with us. 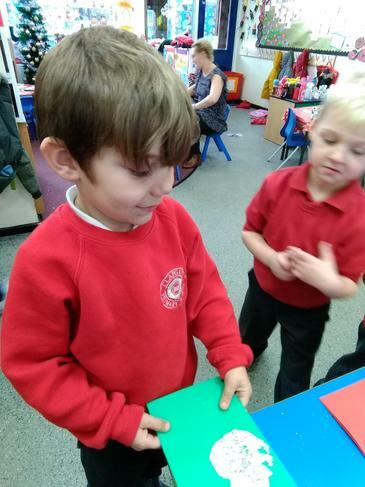 We had to listen carefully and then follow the instructions. 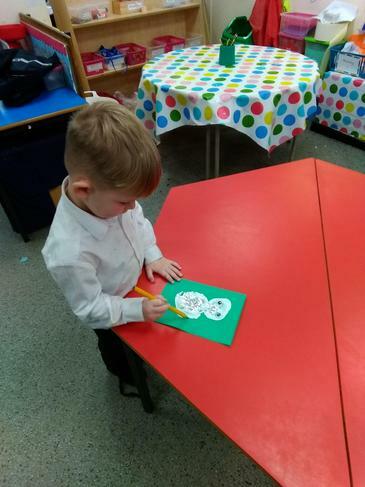 We have been busy this week making our Christmas cards and calendars which will be be taking home soon for you all to have a look at. 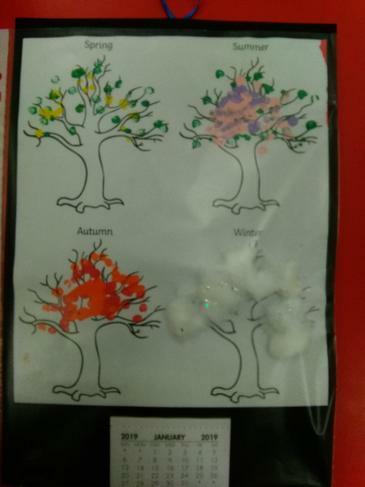 We spent a lot of time making them and really hope that you like them! 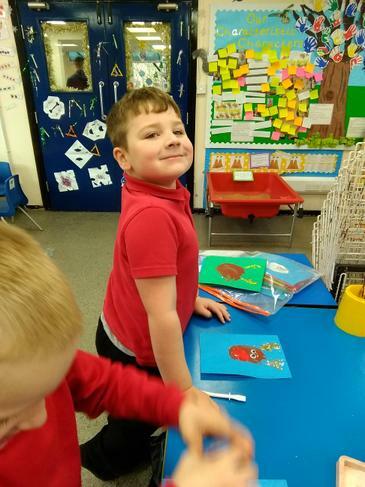 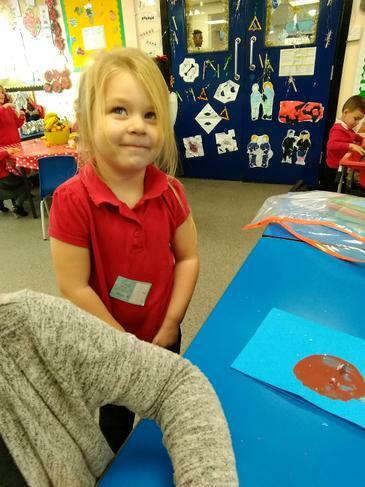 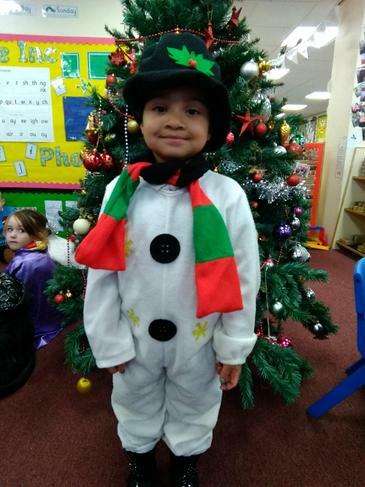 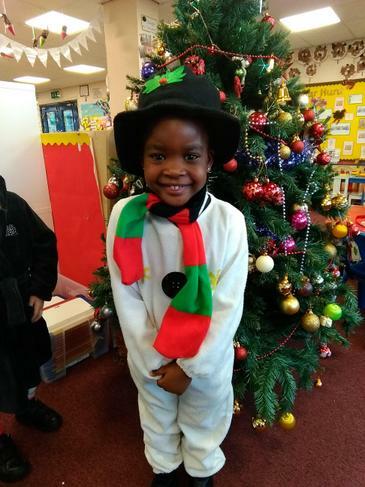 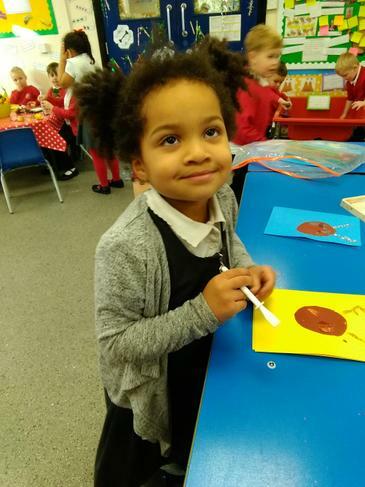 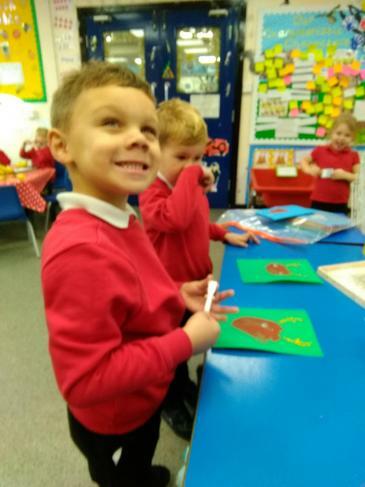 It is the school Christmas fair on Wednesday 19th December and we have been busy making hot chocolate reindeers to sell - we really hope that you will come along and buy one. 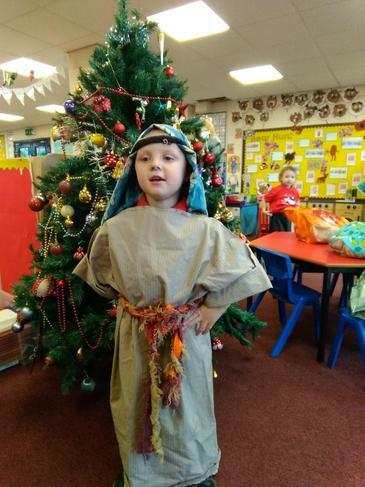 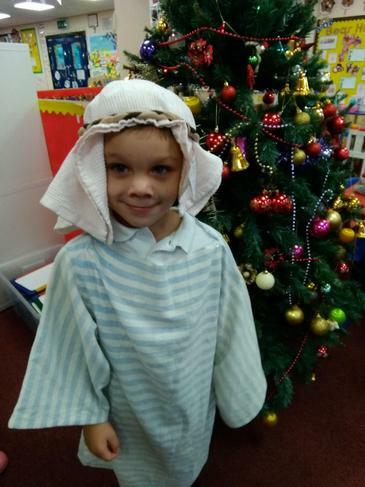 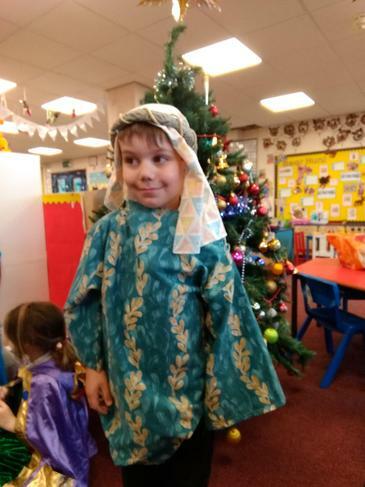 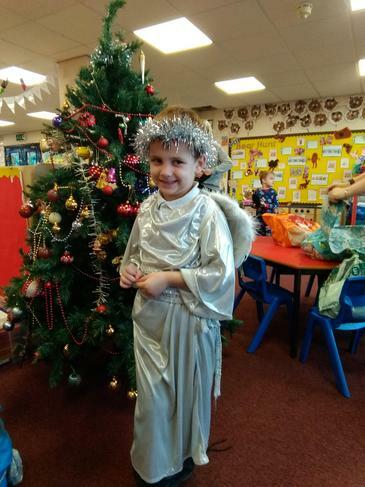 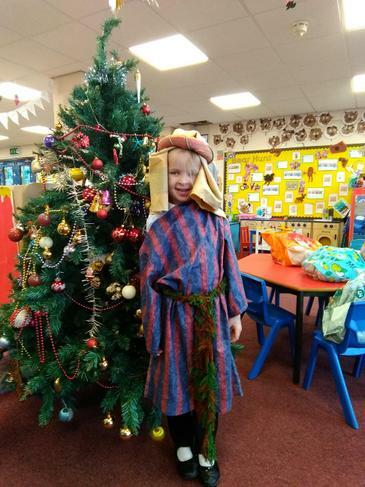 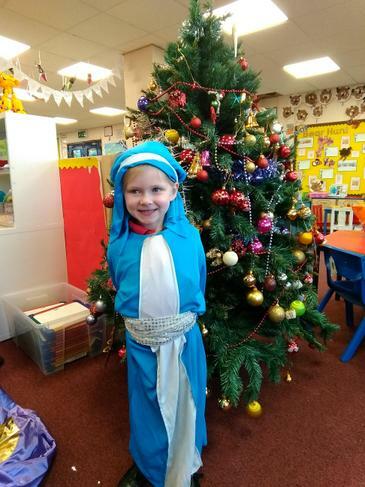 We have spent a lot of time practising our Christmas show which is called 'Our First Nativity.' 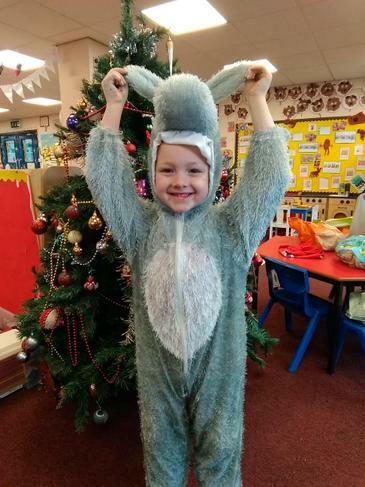 We are really looking forward to performing this for you on Thursday 20th December. 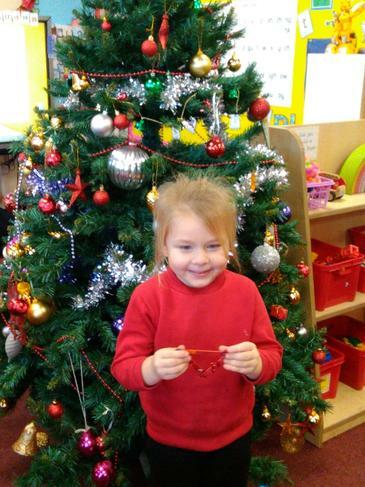 We have had a very exciting start to our week! 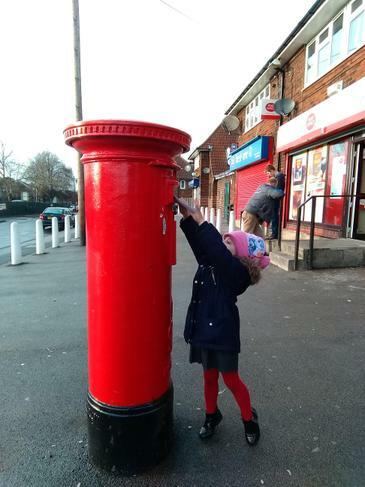 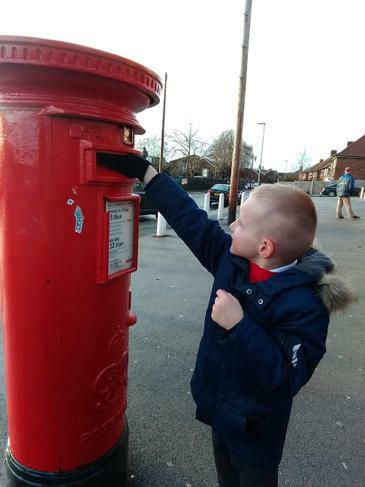 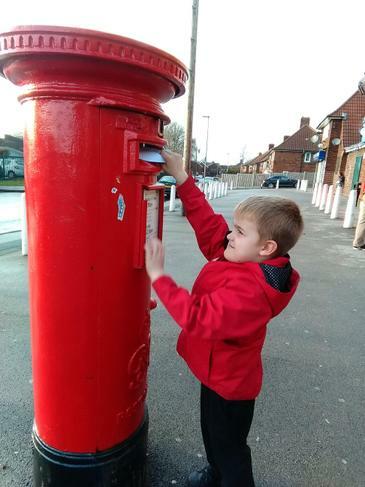 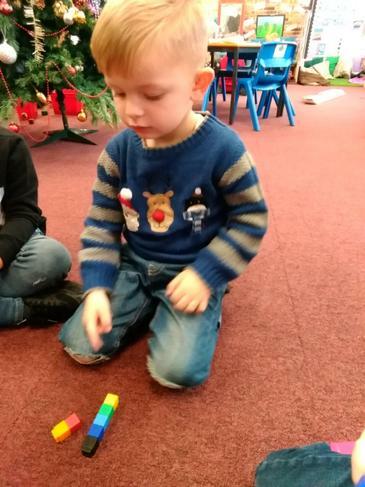 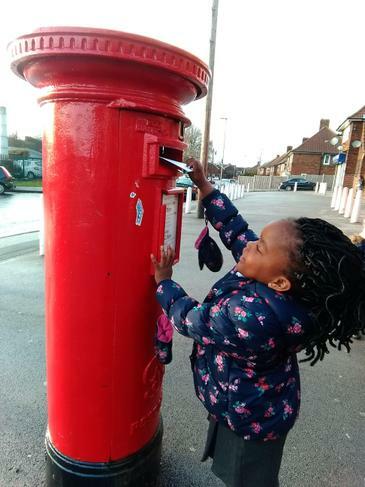 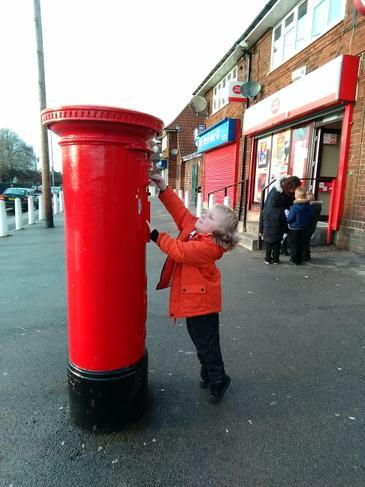 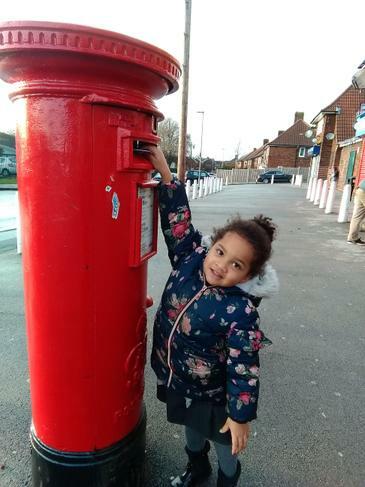 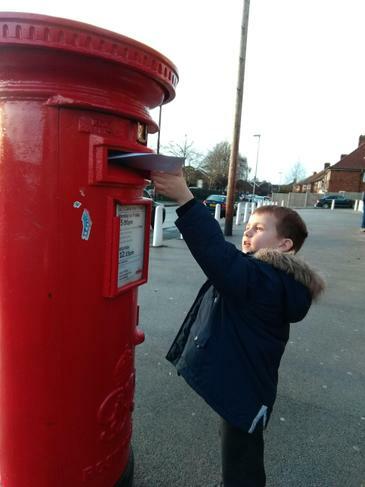 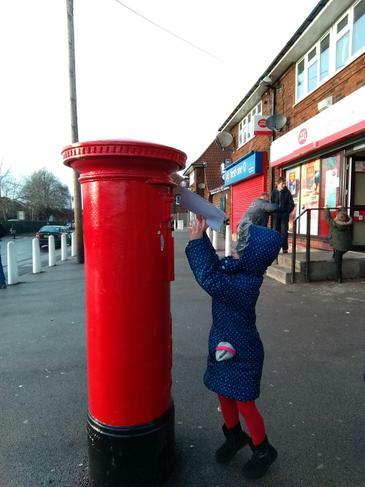 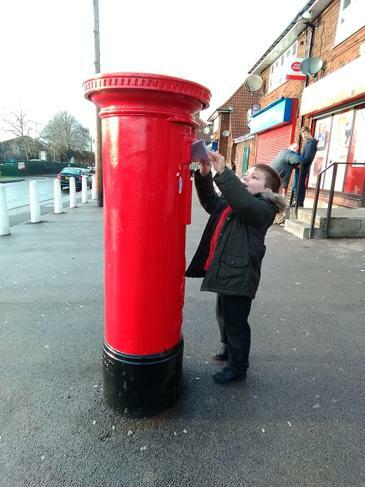 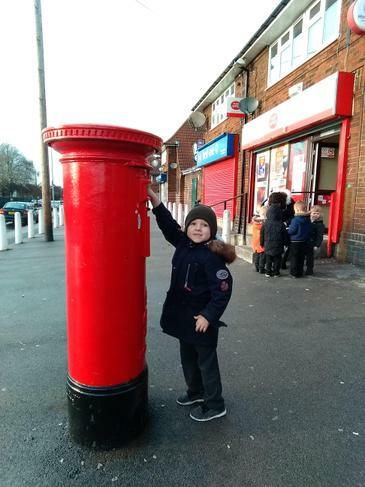 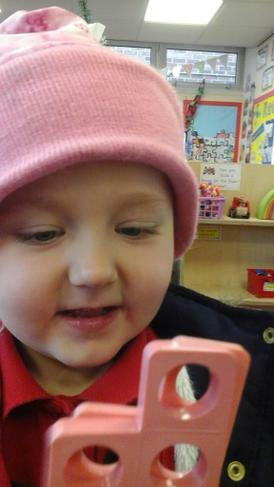 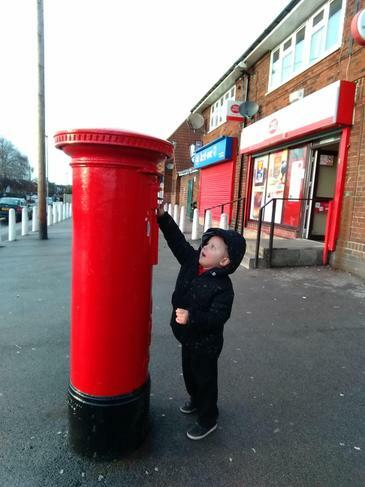 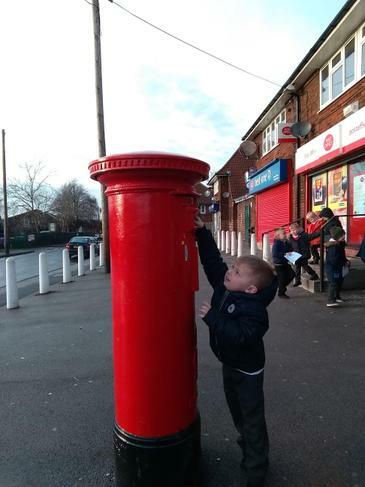 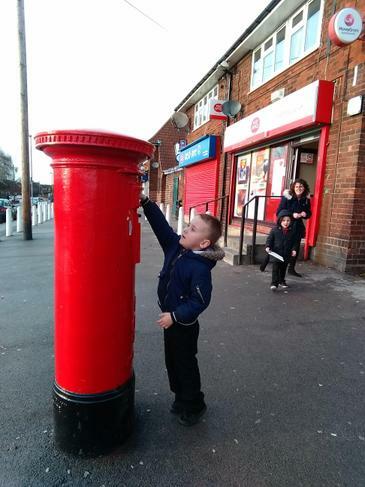 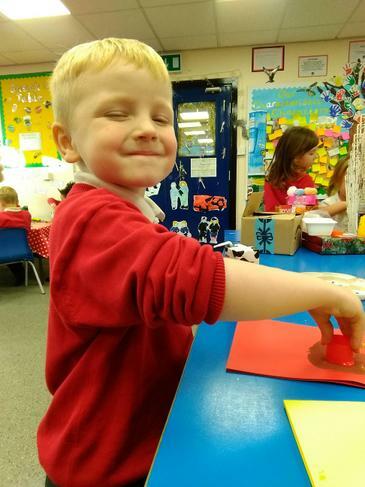 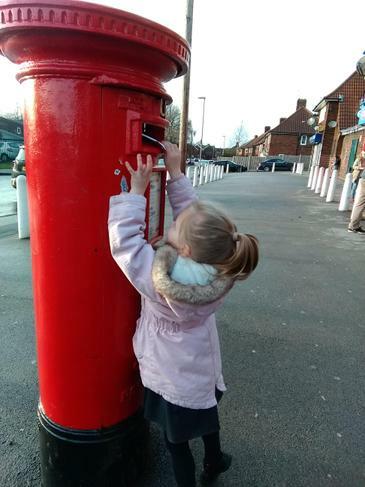 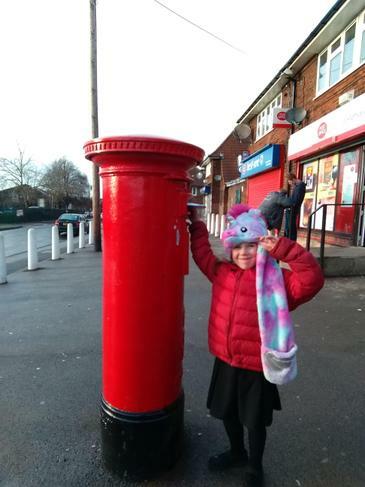 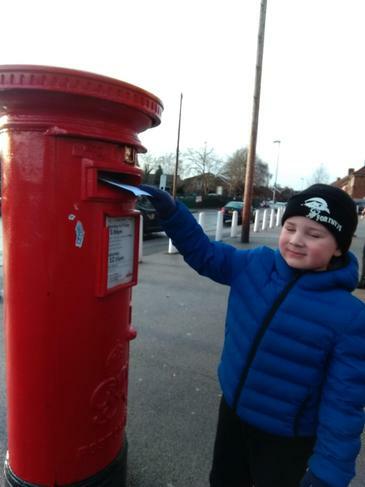 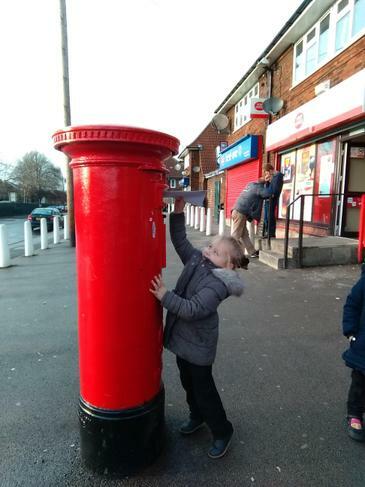 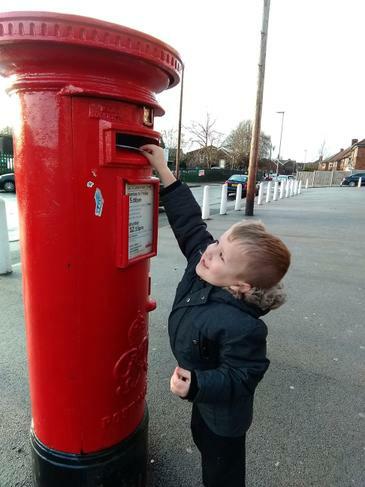 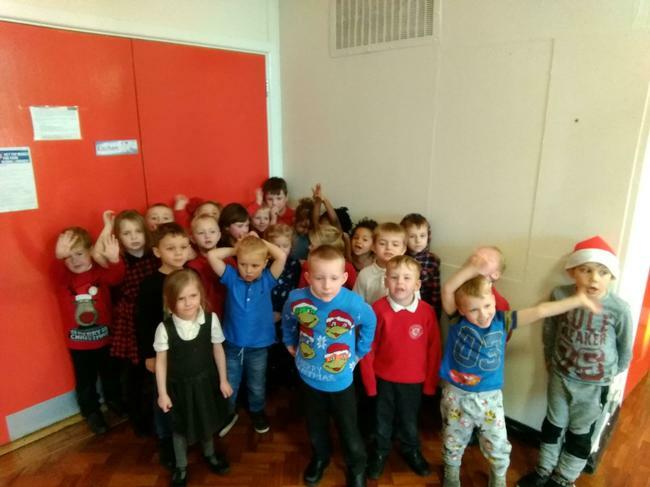 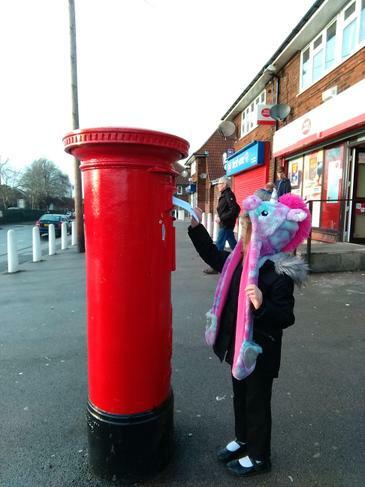 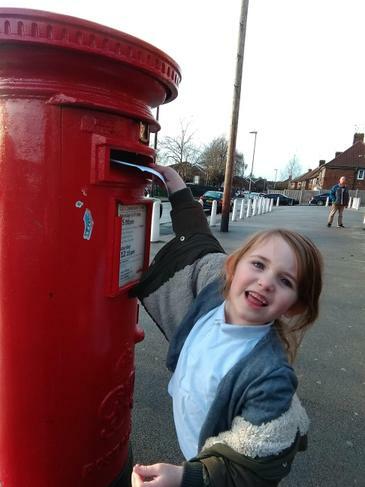 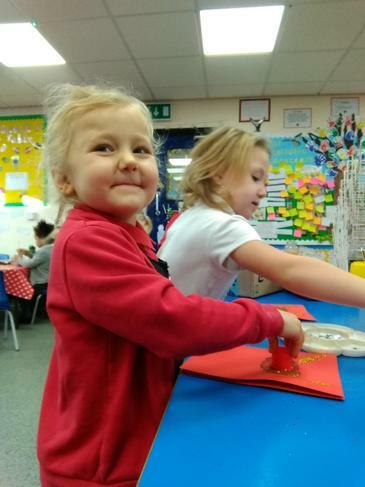 We went on a visit to the local Post Office so that we could post our letters to Santa! 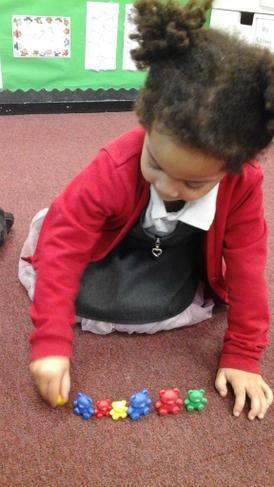 We walked sensibly and carefully along the pavements and were very careful when we crossed the roads. 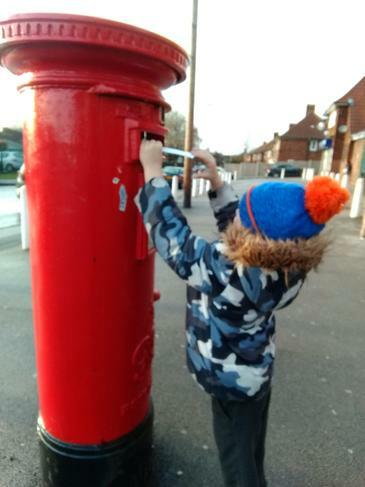 When we got to the Post Office, we went inside and bought a stamp which we put carefully onto our envelope. 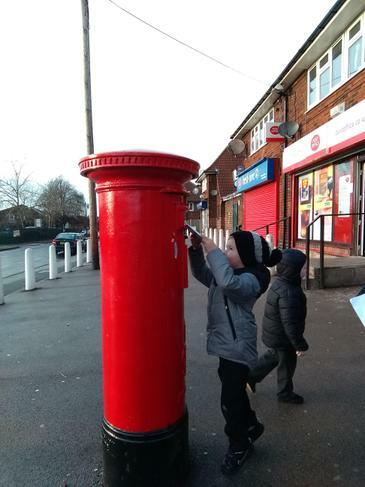 We then posted our Santa letters in the post box. 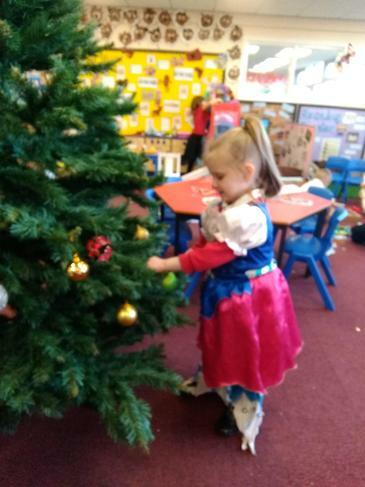 Today we had our Christmas Party!! 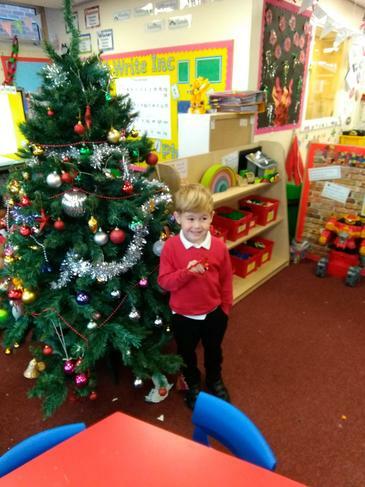 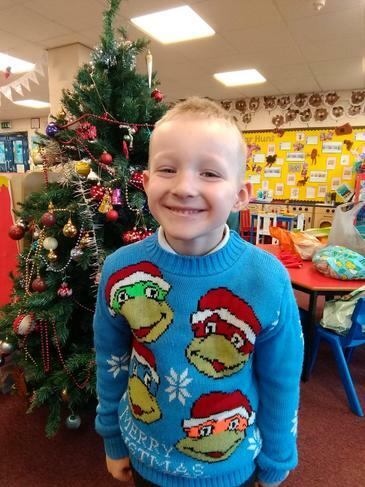 We danced and played games to Christmas music, then we went back to the classroom and had some party food. 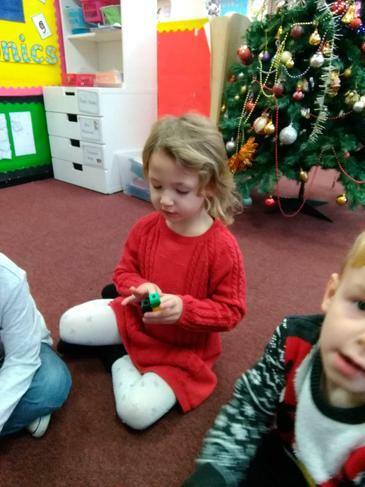 Afterwards we sat on the carpet and played Pass the Parcel. 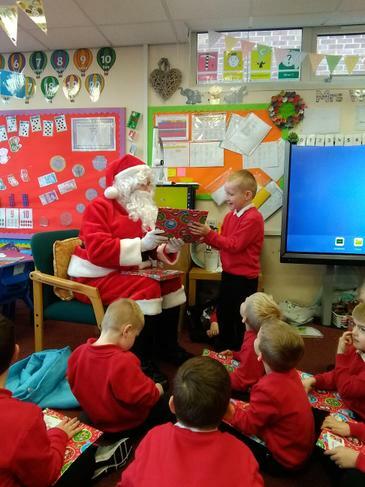 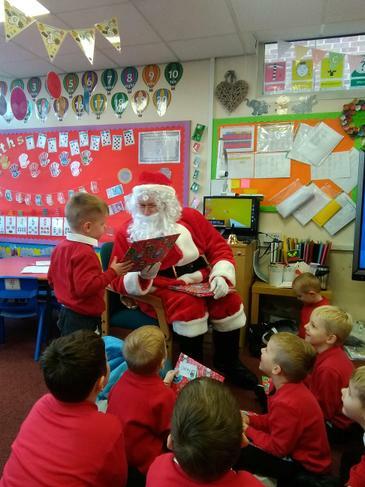 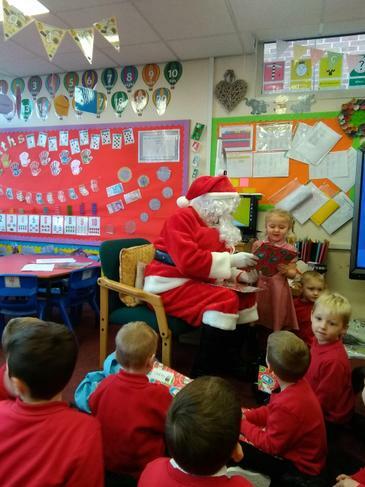 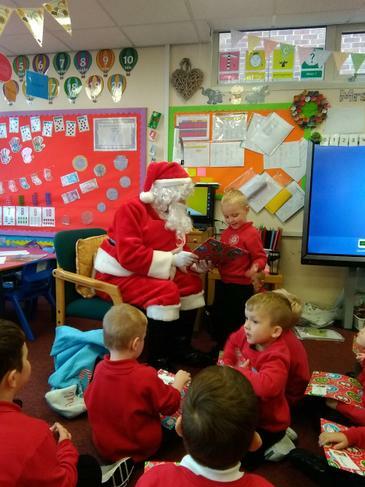 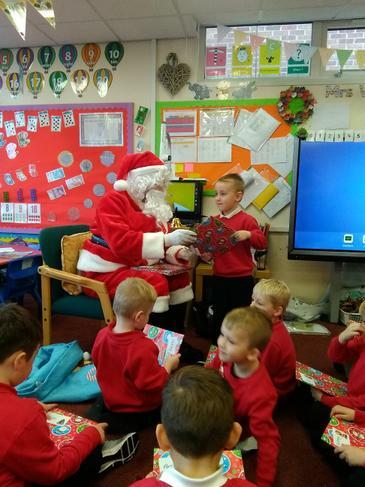 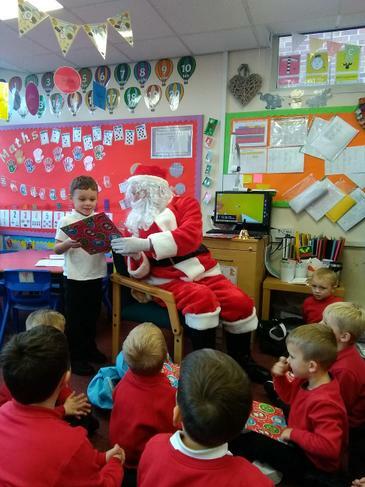 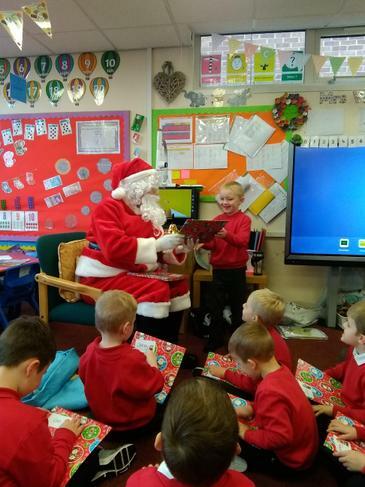 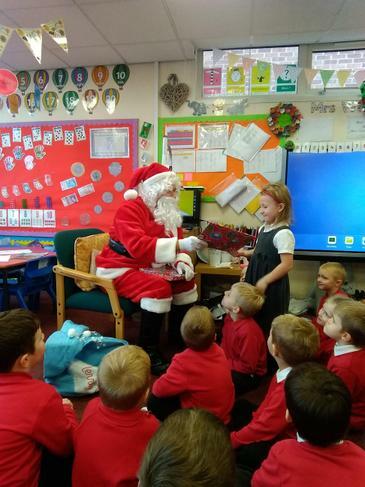 We had a very special visitor to our classroom this week. 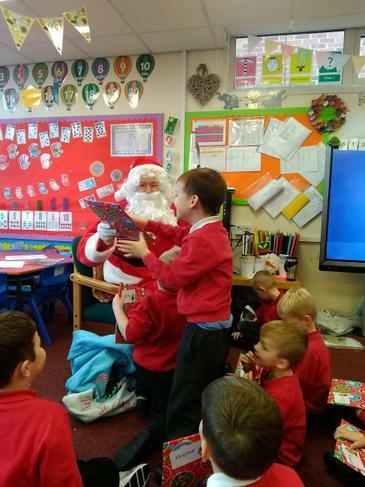 We heard some bells ringing and then someone said, "ho, ho, ho,".......it was Santa!! 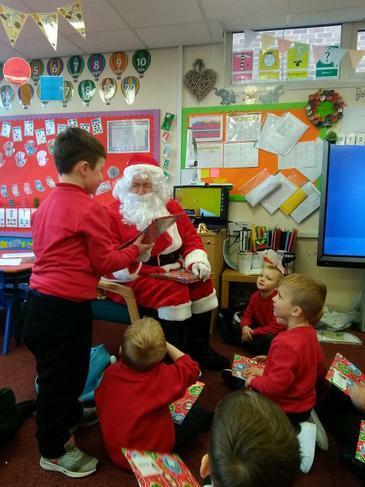 He gave us all a present and then we sang Jingle Bells.